The City of Cape Town will implement a new liquor by-law that regulates alcohol trading hours as of midnight 31 December. The by-law will regulate the trading hours of licensed businesses and was approved by the city council on July 28 earlier this year. The City's chairperson of the Liquor Policy Task Team, councillor Taki Amira, said: "This means that bars and clubs in business areas will have to close by 2am on 1 January 2011. Those watering holes in or close to residential areas, which currently enjoy late trading hours, will have to abide by the new legislation and close by 11pm. Earlier this month, Council approved final amendments to the by-law allowing hotels to open bar facilities until 2am, including the provision of champagne breakfasts. Wineries on wine estates will be allowed to trade from 11am to midnight and to trade 'off consumption' from 9am to 6pm seven days a week. "The City's liquor trading by-law was formulated after a two-year public participation process involving key role players, including the hospitality industry, health researchers and members of the public," Amira said. 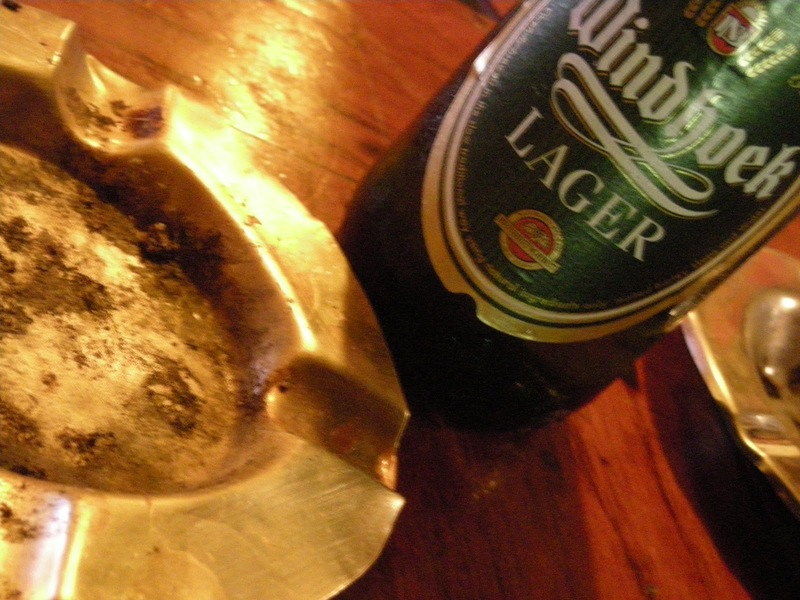 The new municipal legislation is guided by the Western Cape Liquor Act of 2009, which was passed last week. The City's by-law follows the same trading hours as those prescribed in the Bill. Alcohol may be sold from 11am to 2am the following morning for 'on consumption' premises, and from 9am to 6pm for 'off consumption' premises, seven days a week. The former 'on consumption' hours were from10am to 2am the following morning, with a possible extension to 4am, and from 8am to 8pm for 'off consumption'. From 1 January 2011, these hours will no longer apply, irrespective of existing licensed hours. "The City is a large metropolis, with over 3.6 million residents from widely divergent social environments. We have a responsibility to treat all citizens equally and in every way possible help fight the scourge of alcohol abuse," said Amira. Price: From £2400 (12 weeks) excluding flights. See below for price inclusions. In rare circumstances there may be an increase in cost, such as when the hosts are unable to get local park fees, in these cases the cost will be confirmed on application. Think you’ve got what it takes to help run a luxury safari camp in one of Africa’s finest game parks? If you’ve ever dreamt of waking up to a dawn chorus of Hippopotamus and sleeping under a breathtaking blanket of stars, now is the time to make dreams a reality. Our unique placements offer you a privileged insight into the Africa, which tourists don’t get to see. Embrace the challenge of working in an exclusive lodge on a three-month volunteer experience that will open your eyes, awaken your senses and surpass your expectations. The work involved varies from camp to camp – our job is to make sure your skills and expectations fit with the right camp and indeed the right characters that run these heavenly places in often challenging environments! We do this by talking to you at length about your options either on the phone or in our office and narrow it down from there. In most cases you will be part of the safari teams getting the show on the road, doing everything from setting up bush breakfasts and organizing the client’s day-to-day itinerary to masterminding ad campaigns, and problem solving around broken generators! You can be assured that every day will be different and the best skills you can take with you are self motivation, flexibility and a sense of humor. Whatever your previous experience you will make a valued contribution to the lives of staff, guests and local people. Very often the camps are very involved with local communities who they support in one way or another and so opportunities are available to help on local community and conservation projects where your help is greatly needed and effective. Many people venture off by themselves or with a friend. However it is fairly common that a camp needs more than one extra pair of hands and so you might find us pairing you up. On these occasions we take great care in matching personalities and aim to get you together before departure. Solo placements are available throughout Eastern and Southern Africa, so ask us about the different countries each with its unique landscapes, cultures and tribes and then check out the individual camps: Kenya, Tanzania, Malawi, Botswana, South Africa, Zambia and Mozambique. All volunteers will be provided with staff accommodation, which obviously varies from camp to camp. If you choose to work in a camp it is highly likely to be in the form of canvas whereas in a lodge it will probably be in the form of a more permanent structure. Bush style showers and toilets are popular and usually involve being out under the stars and the occasional encounter with inquisitive monkeys! Price includes: briefing and training in the UK, supporting travel documents, management and support by and in country director and placement manager, 24hour emergency backup, £40 per month living allowance, airport pick up and transfer to and from the placement, full board and accommodation. Please note: Normally we only take volunteers aged 22 upwards unless in exceptional circumstances. Intrepid Travel: Win a trip to Africa for you and ten friends including flights! update (22 May 2012): Intrepid Travel released a video about the tour in Africa... it makes me want to pack my backpack and hit the road again! UPDATE (21 Jan 2011): The competition is over and Intrepid has announced the winning group. Be sure to follow our instructions (watch the video!) on how to claim your prize! Adventure travel company Intrepid Travel is giving away a trip to Africa (start: Nairobi (Kenya) to Dar Es Salaam (Tanzania)) for you and ten friends including flights! Simply visit Intrepid on facebook and "like" them to enter the competition! The flag carrier of Qatar, Qatar Airways, has announced that it will increase its services on the East African network to 12 flights across Nairobi (Kenya) and Dar Es Salaam (Tanzania). The airline will increase the daily Doha <> Nairobi flight to 12 flights a week from 03 Jan 2011 and to Dar Es Salaam to 11-flights a week from 02 Jan 2011. 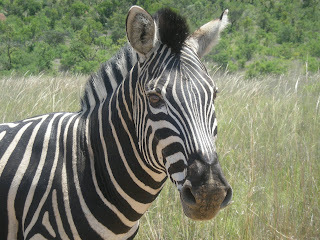 The 12th weekly flight to the Tanzanian capital will be added from 14 Feb 2011. Both routes will be operated with an A320 aircraft, featuring 12 seats in Business Class and 132 in Economy. Qatar Airways currently flies to 14 cities across Africa, including Alexandria, Algiers, Cairo, Luxor, Casablanca, Cape Town, Johannesburg, Khartoum, Lagos, Nairobi, Dar Es Salaam, Seychelles, Tripoli and Tunis. Dereck and Beverly Joubert are award-winning filmmakers (National Geographic Explorers-in-Residence) and conservationists from Botswana. Their mission is the conservation and understanding of lions and leopards and key African wildlife species that determine the course of all conservation in Africa. In this TEDtalk they are discussing their personal relationships with Africa's big cats - and their quest to save lions and leopards from human threats. Did you know that ... the tongue of a giraffe can be as long as 45cm? Giraffes are the tallest land animals. They are approximately 4.3m to 5.2m tall, although the tallest male recorded stood almost 6m. Their neck is in average about 1,8m long and weights close to 300kg. Despite its long neck, the giraffe has only seven vertebrae, exactly the same number as man and most other mammals. A giraffe's legs are usually around 1.8m long. These long legs allow the animals to run as fast as 60km/hrs over short distances and at around 15km/hrs over longer distances. Each giraffe has a unique coat pattern. Giraffes use their height to browse on mainly leaves in treetops that few other animals can reach. Their favorite leaves are from the acacia tree. Acacia trees have long thorns that keep most animals from eating the leaves. But those thorns don't stop the giraffes! They simply use their 45cm tongues to reach around the thorns. 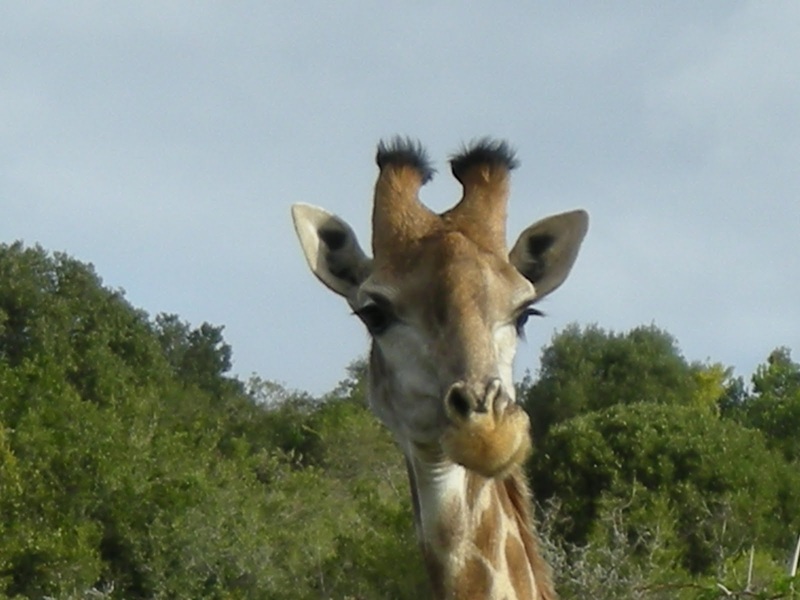 An adult giraffe can eat approximately 30kg of leaves and twigs daily, but can survive on just 7kg. The average weight for an adult male giraffe is 1,200kg while the average weight for an adult female is 830kg. Wild giraffes have a lifespan close to 13 years while those in captivity live up to 25 years. Female giraffes give birth standing up, so that their young are falling more than 1.5m to the ground at birth. These infants can stand in about half an hour and run with their mothers an incredible ten hours after birth. Let Intrepid Travel kick-start your 2011 travel plans with incredible discounts on some of their best adventures. Want to feel the spray of the mighty Vic Falls on your face? Check out their Kenya to Vic Falls trip and save a massive 50%. Booking must be made between Thursday 16th December 2010 (AEDST) 08:00 and Sunday 19th December (AEDST) 12:00 (Australian Eastern Daylight Saving Time). Offer only valid for trips that depart on or between 01/01/2011 - 31/03/2011. Mafia Island, Tanzania: Ras Mbisi - "Barefoot Luxury" at its best! Ras Mbisi is the only destination on Mafia Island’s north west coast that boosts 8km of deserted beach with enough sun, sand and fun for a magical getaway. The site consists of 5 acres of lush tropical grounds, plus access to 2000 acres of plantation, coastal forest and mangrove creeks to explore. Ras Mbisi has 9 bandas. All have a private balcony and an ensuite bathroom with shower and WC, all are en-suite with private balcony and all rooms are approx. 60m² in area. Ras Mbisi does not claim to be an Eco Lodge, but they are very conscious of their unspoilt surroundings and as such try to use sustainable methods to reduce our impact on the environment. re-use of all possible containers. buildings constructed using coco-wood, technically a grass, regarded as a renewable resource. growing many of their own vegetables, fruits and herbs in order to reduce what must be brought in from the mainland. 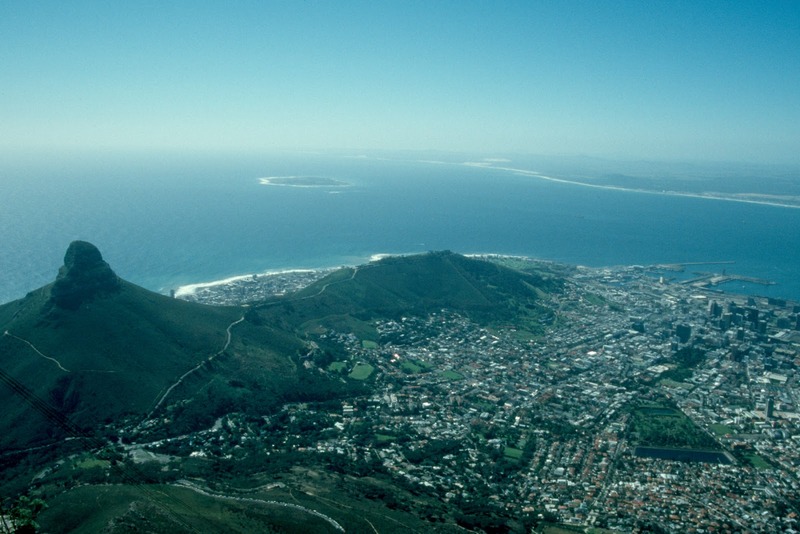 Cape Town: Table Mountain Cableway to extend its operating hours on NYE! According to Tourism Update Table Mountain Cableway will extend its operating hours (weather permitting) with the last car up at 23:00 and the last car down at 01:00 on New Years Eve! Summer Sunset Special is still on, so that tickets after 18:00 are half-price! This is valid on return tickets only. These tickets can only be bought from the ticket office at the Lower Cable Station from 18h00. Zoopy TV has released a video about four ways to enjoy a day or a night out in Cape Town for less than R100. Included in the video is information about Boulders Beach in Simon’s Town, Nauticat Charters in Hout Bay, the Royale Eatery in Long Street and Que Pasa Latin Lounge in Caledon Street. Delta Airlines, based in Atlanta (USA), announced that it has transported two million passengers in four years on its Africa services. The airline is currently operating direct flights from the U.S. to seven African cities in six African countries. Delta Airlines launched its first African service in December 2006 (22 weekly departures) and have grown their operations to than 60 planned by January 2011. Delta is still the only airline to operate bi-directional nonstop flights between South Africa and the United States. The new, state-of-the-art King Shaka International Airport (KSIA) is the third largest airport in South Africa. Built to process up to 7.5 million passengers a year, it replaced the old Durban International Airport (DIA), which was decommissioned on the 30 April 2010. The first flight took off without a hitch on 1 May 2010, just over a month before the start of the 2010 FIFA World Cup. Travellers on international flights are advised to arrive at the airport at least three hours prior to their departure time. King Shaka International is situated about 35km north of Durban’s city centre. Some of the accommodation establishments close to the airport are offering shuttles to and from the aiport. In case they don't, see Durban Airport Shared Arrival Transfer or Durban Airport Shared Departure Transfer. Held annually on the 10 December, Human Rights Day is one of the most important high points in the calendar of the United Nations. The day is traditionally marked by high-level political conferences, meetings, by cultural events and exhibitions dealing with human rights issues. The Nobel Peace Prize, for example, is awarded every year in Oslo, Norway, on 10 December. This year's Human Rights Day is dedicated to Human Rights defenders who act to end discrimination. The date (10 Dec) was chosen to honor the United Nations General Assembly's adoption and proclamation, on 10 December 1948, of the Universal Declaration of Human Rights (UDHR), the first global enunciation of human rights. The formal establishment of the Human Rights Day occurred on 04 Dec 1950. In South Africa, Human Rights Day is celebrated on 21 March, in remembrance of the Sharpeville massacre. The Sharpeville massacre, named after the township of Sharpeville in what is now Gauteng, occurred on 21 March 1960, when South African police opened fire on a crowd of black protesters, killing 69 people. The Namib Desert in the south-western African country of Namibia has endured arid or semi-arid conditions for at least 55 million years and is therefore the oldest desert in the world. The name Namib comes from the Nama word for a vast place. The Namib Desert is stretching from the Uinab River in the north to Lüderitz in the south, from the Namib Escarpment in the east to the Atlantic Ocean in the west and covers an area of around 81,000km². The desert is roughly 1,600km long (north - south) and between 50 - 150km (east - west) wide. The Namib Desert is the only desert in Africa inhabited by elephant, rhino, giraffe and lion. The Namib-Naukluft Park, encompassing part of the Namib Desert and the Naukluft mountain range, is the largest game park in Africa and the fourth largest in the world. In the Park more moisture comes in as a fog off the Atlantic Ocean than falls as rain, with the average 106 millimeters of rainfall per year. Although not typical, one of the most famous inhabitants of the Namib Desert is the welwitschia plant. Individual Welwitschia plants are estimated to be upwards of 2,500 years old, have crowns of more than 1m in diameter, and leaves that stretch up to 2m long. The plant is considered to be the longest-living member of the plant kingdom. Back in the days Charles Darwin called the plant platypus of the plant kingdom. 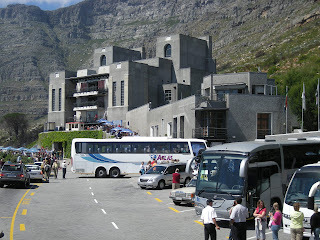 Statistics South Africa (StatsSA) has published the October 2010 Tourism and Migration statistics. In October 2010 South Africa had 1 003 661 foreign arrivals. The arrivals were made up of 14 757 non-visitors and 988 904 visitors. The visitors consist of 282 065 same-day visitors and 706 839 overnight visitors (tourists). The breakdown of the tourists by region is as follows: 208 276 from overseas; 480 766 from SADC countries; 15 305 from "other" African countries and 2 492 unspecified. I followed the link and started watching the 17min TED video about colalife and loved it. colalife a charity that aims to use Coca Cola's distribution channels to provide remote communities in third world countries with essential medication and water cleaning tablets. In the video the founder of colalife, Simon Berry, is giving the TED Berlin audience a sum-up of how they started colalife back in 1988, what the basic idea of colalife is and where they are at right now. For more information about colalife please visit them on facebook or on their website! The pick up and go area of Cape Town's International Airport (CTIA) is getting relocated to the ground floor of Parkade 1 on 10 Dec 2010 and a long stay parking option will be introduced in the Shade net 2 area soon thereafter. Airport users collecting passengers opting not to park will use the new pick up and go area in Parkade 1 where a free half an hour will be allowed for collection. If the half an hour is exceeded a sharply increasing tariff will be payable. This tariff is charged as a deterrent to ensure that users do not abuse the pick up and go area, but use it for the reason for which it is intended, to pick up and go. The pick up and go area will be equipped with Flight Information Display Boards in the foyer of the parkade so that people collecting someone will be able to see the status of the flight. If a flight is significantly delayed it is recommended that users depart the pick up and go area and park in one of the parking areas available. The new pick up and go area is also significantly closer to the terminal building. A new tented camp is set to open in Addo Elephant National Park on 13 December 2010. The Spekboom Tented Camp consists of five fixed tents on decks with two beds each inside the Spekboom Hide in the Park’s Main Game Area. Visitors will be able to spend the night at a tent inside the hide, giving them the unique experience of listening to the sounds of the bush and being surrounded by wildlife, away from the popular, busy Main Camp. Visitors can also check the hide’s waterhole for nocturnal wildlife. Visitors staying in the tents can either bring all their own equipment or can hire a box of cutlery, crockery, cooking utensils and bedding. There is no electricity available at the tents and visitors are advised to bring their own torches. Day visitors will still be able to access the Spekboom Hide on their game drive as usual. The Tented Camp has a separate entrance gate and is fenced off from the day visitors hide area. The Spekboom Tented Camp units are available at R500 per night per tent (valid until 31 October 2011). Equipment & bedding is available for a R200 refundable deposit. Bookings can be made through SANParks central reservations or Tel: (041) 582 2575. South African online news website Eye Witness News is reporting that there are increasing attacks on cars on Airport Road, which is leading to and from the International Airport of Zimbabwe's capital Harare. Cars travelling on the road, which does not have streetlights in some sections, are getting targeted by a ciminal gang known as Zimbabwe Mafia. Taking advantage of the dark conditions most attacks are occuring after sunset (currently around 1830hrs). Travellers arriving at Harare International Airport after dark should therefore be super careful. EWN is furthermore reporting that the criminals are known to "puncture tyres belonging to Harare residents who have gone to pick up friends and relatives. People then get flat tyres on the airport road where the gang steals luggage from overseas visitors." So pls take care and check the tyres of the car you are getting picked up with! Safe travels! Ethiopian Airlines continues to expand its continental network in Africa. The airline is now offering (effective 02 Dec 2010) flights from their strategic hub Addis Ababa to Maputo, the capital of Mozambique, as well as flights from Addis Ababa to Kilimanjaro in Tanzania (effective 03 Dec 2010). They also upgraded the daily Mombasa flight from Q400 to 737-800 to satisfy the demand on this popular route. Ethiopian Airlines, one of the largest and fastest growing airlines in Africa, made its maiden flight to Cairo in 1946. With the addition of flight services to Maputo and Kilimanjaro, Ethiopian will provide dependable services to 40 cities in Africa and a total of 60 international destinations spanning four continents. The current census was made in March and April 2010 and indicates that there were a total of 480 mountain gorillas, in 36 groups along with 14 solitary silverback males in the Virunga Massif, which includes three contiguous national parks: Parc National des Virunga in the DR Congo, Volcanoes National Park in Rwanda and Mgahinga Gorilla National Park in Uganda. The only other location where mountain gorillas exist is Bwindi Impenetrable National Park in Uganda. Along with the 302 mountain gorillas censused in Bwindi in 2006 and four orphaned mountain gorillas in a sanctuary in DRC, this brings the total world population to 786 individuals. Rwandan Mountain Gorillas from Richard Sprenger on Vimeo. The last census undertaken in the Virunga Massif was in 2003, when the population was estimated at 380 individuals. The current figure represents a 26.3 % increase in the population of mountain gorillas in this area over the last seven years, which is a 3.7 % annual growth rate. This increase in the population occurred despite the killing of no less than nine mountain gorillas, in four separate incidents, during this time period. Of the 480 mountain gorillas censused, 352 (73%) were habituated (349 in groups and three solitary males) and 128 were unhabituated (117 in groups and 11 solitary males). Please visit the website of the African Wildlife Foundation (AWF) for more info. Kruger National Park just got new speed cameras - right in time for the upcoming 2010 festive season. The new cams do not only record the speed of several oncoming vehicles at the same time but are able to identify vehicles that are exceeding the speed limits. 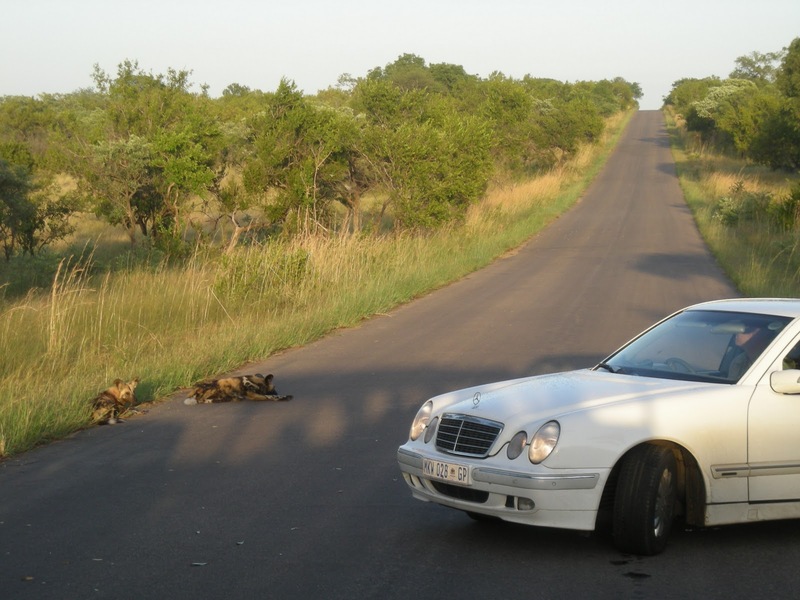 The cameras also take live video footages which Kruger National Park traffic officers can replay to individuals who express doubt when they are caught speeding. More than 95 percent of the people who came to South Africa for this year's FIFA World Cup said they will visit the country again, according to survey results released by the Tourism Department on Monday. The statistics, presented by Minister Marthinus van Schalkwyk, followed an extensive study conducted by the department on the impact of Africa's first FIFA World Cup on South Africa's tourism industry. It revealed a radical change in attitudes displayed by foreigners towards South Africa, with those attending matches at stadia being happy with the country's security personnel and hospitality. The visitors were so impressed that they would "highly" recommend South Africa as a destination to family and friends. More than 309 000 tourists arrived in South Africa between June and July for the primary purposes of attending the World Cup and contributed about R3.6 billion to the domestic economy through spending. Before the World Cup, both the South African Football Association and analysts put the expected number of visitors for Africa's first soccer world cup to 450 000. But on Monday, van Schalkwyk said even this final visitors figure was good news for the country, describing them as "very conservative" and excluding the FIFA family. "There were many numbers that were thrown around before and after the tournament, but what we are announcing today is the figure of people who came to South Africa only for the purposes of the World Cup and its good news in terms of our tourism ... it was worth all the time, the investment and the money," he said. The total expenditure in South Africa by tourists who came specifically for the tournament was R3.64 billion, with Europeans leading the pack followed by the United States. 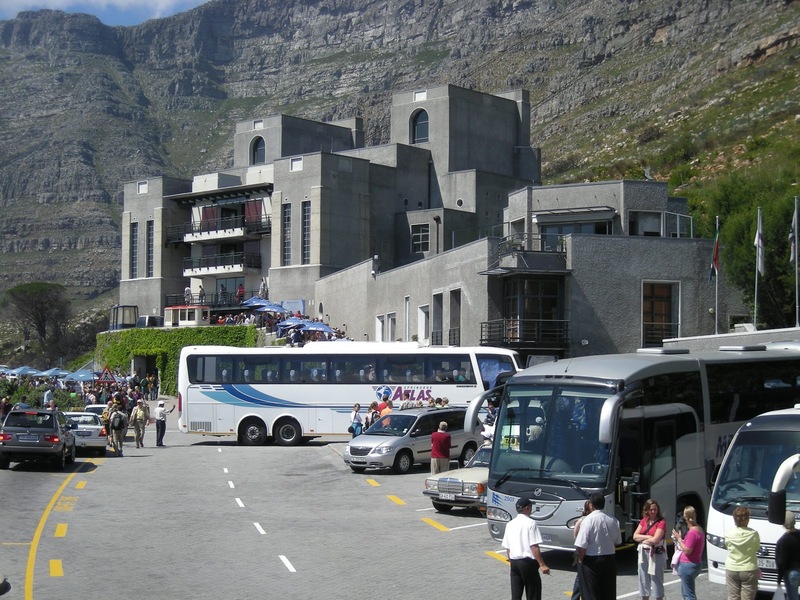 The overall average spend per tourist was R11 800, a figure officials said was higher than the annual overall spent in South Africa in 2008, which was R8 400. As expected, Gauteng, the Western Cape and KwaZulu-Natal were the most visited provinces during the event each, attracting more than 80 000 tourists. Interesting were the tourism figures for September, which showed that South Africa continued to be the favorite destination, a month after the tournament. According to the survey, total awareness of South Africa as a leisure destination increased by 9% following the spectacle. This is not surprising considering that about 59 percent of the people interviewed said they were visiting the country for the first time. Shortly after South Africa was named as winning bidders in 2004 to host the tournament, stories of how the country was the crime capital started to emerge, with some reports describing townships as blood bath for tourists. Van Schalkwyk said South Africa had worked tirelessly throughout the years to make sure it hosted the best world cup. "We planned, invested and implemented our vision in the face of many challenges or fierce scepticism, even of outright disbelief that we could deliver on our commitments," he said. The world cup was never about the hosting of the tournament, but rather about building a legacy for South Africa and the continent. He called on the tourism industry to be encouraged by the statistics and take advantage of the positive spinoffs created by the 30-day tournament. Kenya has implemented an Alcoholic Drinks Control Act, which might have some rather negative impact on the country's tourism industry. The new law, made primarily to contain the excesses of alcohol abuse in the country and reduce the health implications of drinking, came into force on 22 Nov 2010.
update (17 Feb 2011): The Kenyan High Court ordered the full implementation of the alcohol control law on 24 Jan 2011. In the meantime Nakumatt, a Kenyan supermarket chain, is on course to conclude a major restructuring to establish special alcohol and related substances sales points in all its local branches. The Kenya Tourism Federation (KTF) is still regarding the alcohol law and its implementation as major concern for the sector especially at the coast, although hotels, members clubs, airlines, rail service and cruise ship operators are actually allowed to sell alcoholic drinks any time of the day (not confirmed!). South African Express (SA Express), whose flights are incorporated within the strategic alliance with South African Airlink and South African Airways, is following last week's announcement of Comair to increase flights on the Cape Town <> Durban route. 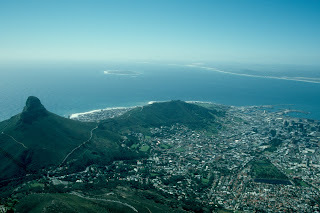 From 10 January 2011 the airline will be adding a minimum of three flights a day on weekdays and twice a day at weekends on Cape Town <> Durban route. The International Volunteer Day (IVD), held annually on the 05 December, is an international observance designated by the United Nations since 1985. The declared aim of this activity is to thank the volunteers for their efforts and increase public awareness on their contribution to society. The United Nations Volunteers (UNV) programme has made volunteering for one or more of the MDGs its theme for IVD 2010, reminding people around the world of the difference that they can make. It will be an opportunity to highlight and showcase just how volunteerism is contributing to achieving the Millennium Development Goals (MDGs). Lufthansa Airlines, the flagship air carrier of Germany and the largest airline in Europe is launching the world’s first ever scheduled commercial passenger flight using bio-fuel in April 2011. The daily flights between Hamburg and Frankfurt, made with an Airbus A321 aircraft, will be the first in the world to use a bio-fuel blend made from 50 per cent Hydrotreated Vegetable Oil (HVO). In a six month testing period Lufthansa (and partner Airbus) will study the the long term impact of sustainable bio-fuels on aircraft performance. According to Lufthansa, the airline will save around 1,500 tonnes of CO2 emissions during the six months trial. This might be the first ever recorded rescue of a baby wildebeest and a baby zebra by the same hippo on the Mara River (Serengeti NP) in Tanzania. Both foals were rescued within 10 min as they were trying to cross the raging river. The hippo was watching as the wildebeest herd swam past. As soon as the calf jumped in, the hippo swam up to it and pushed it along all the way across until it had reached safety on the other side. It then went back and did the same for a zebra foal just minutes later. 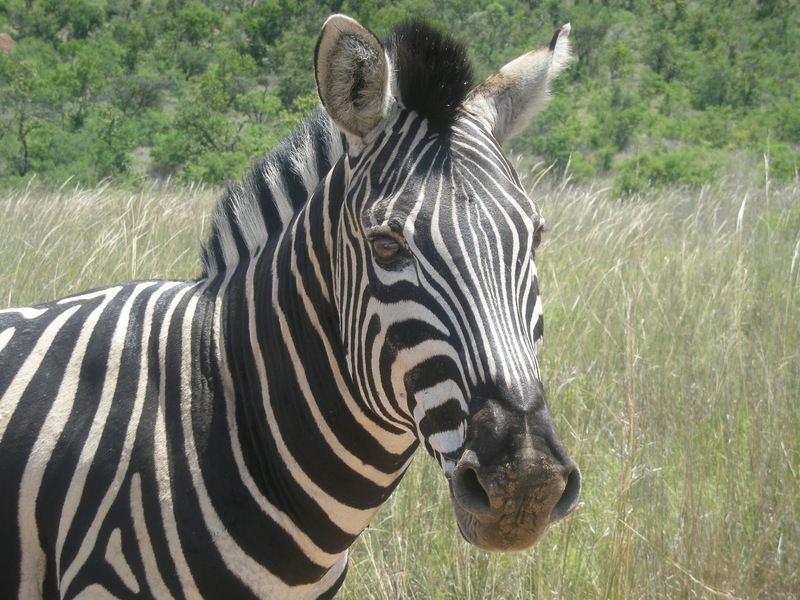 South Africa Airways (US): Win a Trip to South Africa! Ever dreamed of traveling in South Africa? Missed the World Cup 2010 in South Africa? Well then you should check this - South Africa's flag carrier South African Airways is giving away two round-trip tickets from the US to South Africa via their Facebook page. Good Luck! The adventure travel company GAP Adventures is running two new overland tours ex Johannesburg (South Africa) in 2011 - the 9 day "Jo'burg to Vic Falls Overland" and the 28 day "Johannesburg to Nairobi Adventure". Spotting the 'Big 5' on game drives in Kruger National Park, cruising the Chobe River at sunset, enjoying fantastic views of Victoria Falls. If time’s a little tight and you want to soak up the wildlife and vibrant colours and scenery of Zambia, Botswana and South Africa, this is the perfect expedition with plenty of options for game drives. Watch elephants gather at watering holes and hunt for the perfect snapshot of the ever-elusive 'Big 5' on a game drive in Kruger National Park. Our overland truck will get you to the sites safely and camping will allow you to fall asleep to the sounds of the wild underneath big African skies. With a unique itinerary that offers plenty of options, uncover all that southern Africa has to offer! Spotting the 'Big 5' from 4x4 safari vehicles, cruising through Chobe National Park at sunset, experiencing Victoria Falls and a spice plantation, getting the heart pumping at Lake Malawi. Connecting two major hubs, this overland journey will take you from the bustling streets of Johannesburg to Nairobi—so that you can explore the stunning wilderness of the six countries that lie in between. Track Africa’s 'Big 5' on game drives across the plains of the Serengeti, Ngorongoro and Kruger and inhale the fragrant air of spice plantations in Zanzibar. A unique overland truck allows you to get to some less-visited areas of Africa, and participation camping will keep you at the heart of the action. With a comprehensive itinerary that offers plenty of exciting options, you’ll discover the diversity of wildlife, landscapes and people on this once-in-a-lifetime adventure. The southern African coutnry of Namibia is ranked 5th best best-value destination in 2011 by Lonely Planet's yearly "Best in Travel" (Lonely Plant: Best in Travel 2011 amazon.com | amazon.co.uk | amazon.de) publication. Botswana wants big spenders only and South Africa’s not the deal it once was, so southern Africa bargain hunters should head for Namibia. Well set-up for backpackers, this is still a territory of US$50 or less a day if you’re careful, with an excellent network of local minibuses and tours aimed at budget travellers to go to places public transport won’t. And if you go up a price bracket you’ll eat and sleep well in excellent-value midrange options that bring South Africans flocking over the border year after year. Beside all the "best-value" reasons for Namibia, the country is simply stunning and is offering the traveller everything from hiking, surfing, gameviewing to urban life (ok, pretty much in Windhoek only), rural and cultural life and some of the finest landscapes you have ever seen! Beneath the foothills in the Outeniqua Mountain range of George, on the corners of Arbour and Camphers drift roads lies Afrovibe Backpackers Lodge. The moment you set foot inside Afrovibe, the vibe, ambiance, scenery, and homely feel will engulf you! Afrovibe Backpackers Lodge has the facilities and accommodation to gratify all needs! From sipping cocktails by the pool, relaxing in the outdoor jacuzzi or having a good time at the bar or around the fire, Afrovibe caters for it all! Accommodation ranges from ample dorm accommodation, private rooms, and luxurious en suite rooms that will satisfy every need. The open air showers provide an ideal Afro experience! World AIDS Day, observed 01 December each year, is dedicated to raising awareness of the AIDS pandemic caused by the spread of HIV infection. Every World Aids Day has a certain theme - this years theme is Universal Access and Human Rights. The idea of the World Aids Day was conceived in August 1987 by James W. Bunn and Thomas Netter, who were both working as information officers for the Global Programme on AIDS at the World Health Organization in Geneva, Switzerland. Bunn and Netter took their idea to the Director of the Global Programme on AIDS (now known as UNAIDS) Dr. Jonathan Mann. He liked the concept, approved it, and agreed with the recommendation that the first observance of World AIDS Day should be 01 Dec 1988.